How To Avoid Painting your Exterior Walls Again and Again! Are your exterior walls needing to be painted again? A typical exterior house painting job should last for three to four years. However a quality exterior wall coating applied by Texture Wallcoating Specialists can last for 15 to 20 years. If you live in Scotland or the North of England, why not get a free texture wall coating estimate and start planning your home’s new look today. 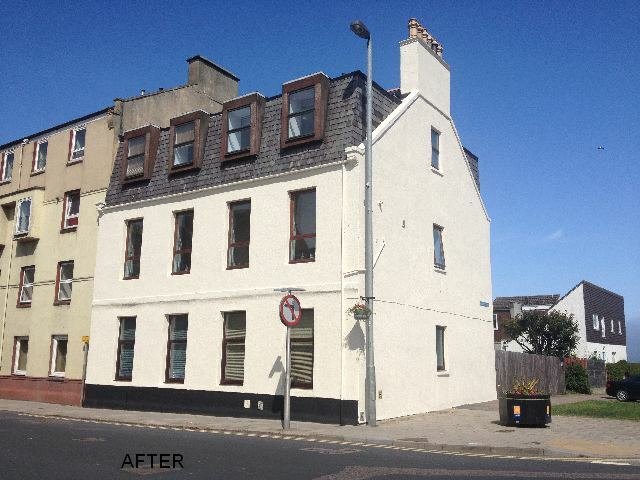 If you are looking for exterior paint ideas, you can have confidence that as an independently owned company with over 15 years experience in the protective wall coatings and roof coatings business in Scotland and North of England, owner, Robin Campbell will take every step required, to ensure you are happy with the work. We just love getting reviews like this. Also like Graham Elrick, who sent in the feedback below. 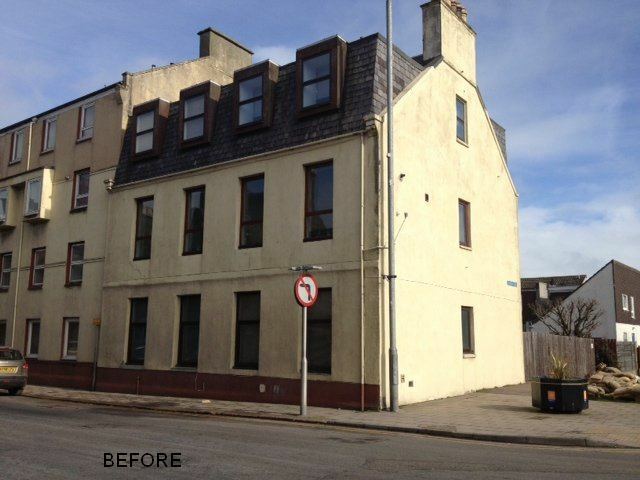 Completed exterior wall coatings and roof coatings jobs, include small cottages right up to large castles. If you take advantage of our service, your walls or roofs will be protected for at least 10 years, saving you time and money on painting your property or maintaining your roof. We operate all over Scotland with happy customers in the main areas around, Glasgow, Edinburgh, Perth, Dundee, Aberdeen and Inverness.